This thought piece is a timely, healthy reminder that we are responsible for our lives – it is not up to others. While others can support us – as friends or professionals that treat us, we must be in control. The past couple of months have seen me living this approach while undertaking treatment for my prostate cancer recurrence. We have also been keeping a bit of a low profile as a result of treatments. My partner Ace has been a solid rock and supporter for me. It has also been wonderful to be in touch with my kids in Australia and America over this period as well. Technology makes communications so much easier to share and chat from a distance – thanks to the mobile phone, Line, Instagram and emails – sharing pictures and stories is so easy these days. We were home bodies a lot over the past couple of months. Lots of movies, time on the computer, pottering about the yard and some reading on wet and lazy days. September saw the end, pretty much, of our rainy season and October welcomed lovely blue, clear skies. Good for walking the dog in the nice weather. Really looking forward to the start of the cool season later in November through until February. Lucas and Lex are now mates. They enjoy being around each other and often sit close together, since we lost Lindsay. Animals are funny and have their unique personality. 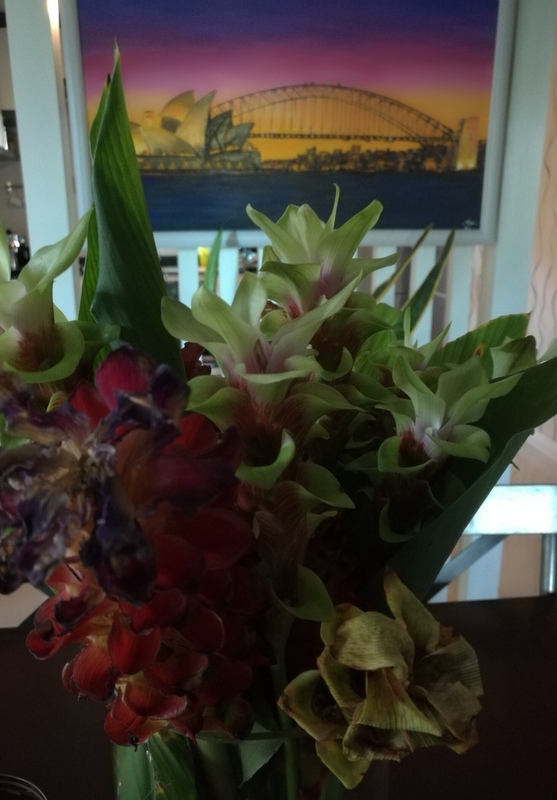 Enjoyed a lovely lunch with the owners of this boutique resort today amongst the tropical greenery out Mae Rim way – http://www.monocerosresort.com/ Ace and I returned to the resort at their invitation as a follow-up after previously assisting them with a distressed Aussie guest. Thanks Paul and Arm for the great Indonesian rijstaffel banquet. Ace’s mother has been to visit a few times in the past couple of months to see some specialists in Chiang Mai, so we got out to enjoy some food experiences – at Khualek Cafe by the Ping River and then Ohkajhu Organic Farm. 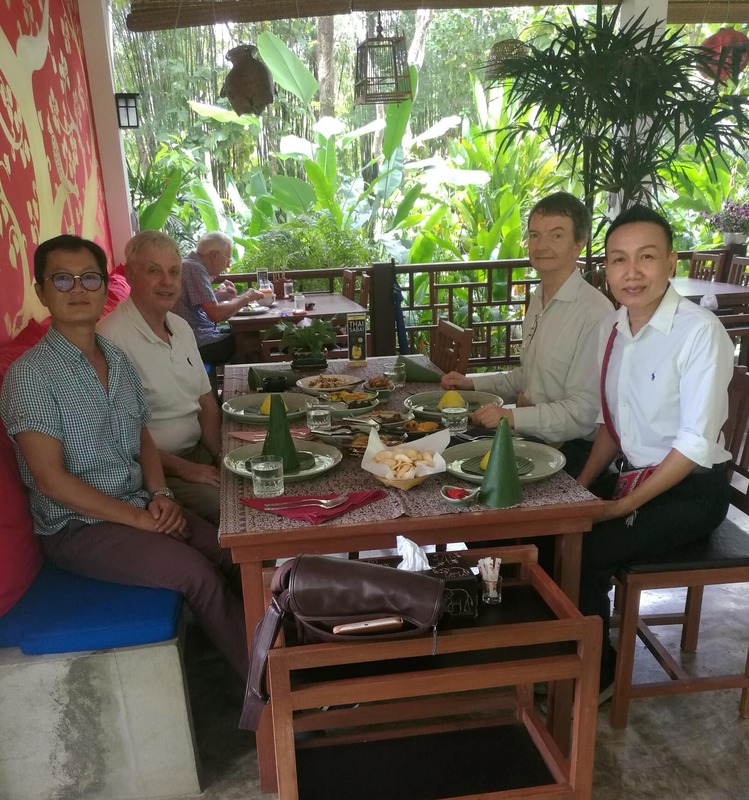 Ace’s birthday – given all the time he has spent helping along this medical journey it was time to for a treat – so off we went to Redbox Chaing Mai for a special dinner for my wonderful partner. One morning I decided to have a breakfast treat for a change. A nice spot, down a quiet city lane and enjoyable breakfast sandwich. There are so many very neat little food and coffee places spread about in Chiang Mai to explore and enjoy. Oh the hard life of retirement in Chiang Mai. The past couple of months have been a bit reflective and focused on personal health. My recurrent prostate cancer was diagnosed as metastatic in a lymph node so I have now completed 7 weeks of radiation therapy and going through hormone treatments to eliminate testosterone, that feeds the cancer. I have had 3 months of androgen deprivation treatment and now due for another 3 month injection to take me through until February 2019. This has resulted in side effects that leave me a bit under the weather at times, in some casual pain, facilitates exhaustion and hot flashes throughout the day. As a result we have generally taken a low profile over the past couple of months – going out for daily hospital treatments – but not too much socialising – a bit, but not too much. I try to do some activity around the house, walk the dog and go out when I can – but am often very tired. With next to no – 0 – testosterone in the body, one is left fairly weak & easily run down it seems. Hopefully this next 3 months injection will be the last and life can return to somewhat normal. Time will tell if the treatments have cured or put the cancer into remission. It will likely be mid-2019 before I can get a view on treatment success. Ace has been wonderful in supporting me and helping me along this unwanted journey. 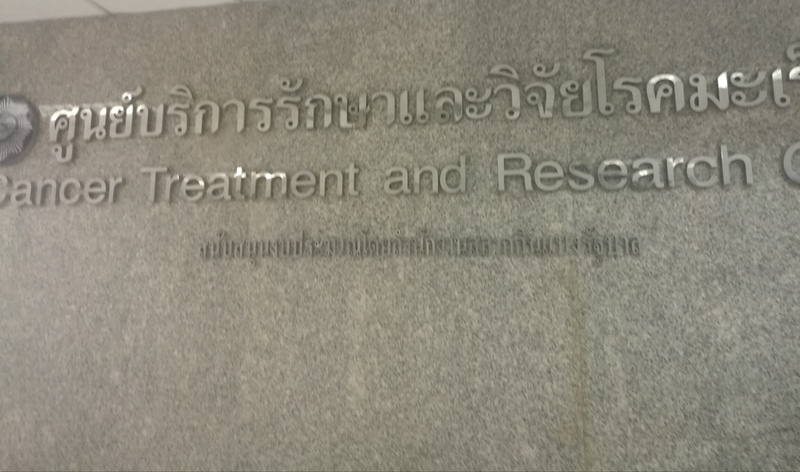 The doctors and staff at Suan Dok Hospital in Chiang Mai have also been very supportive and caring. Not really the tranquil in Thailand retirement experiences I had planned on – but it is, what it is. 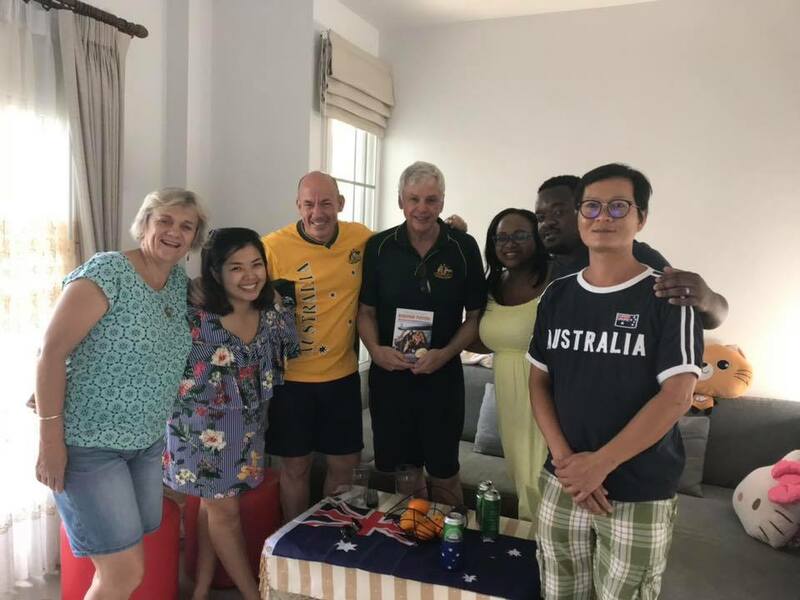 Continuing with the Australian Honorary Consul role during this time has been a good strategy to keep one’s mind busy and thinking of other things. As you can see from my consulate blog, that keeps me well occupied. That covers the last couple of months – enjoying life the best one can and soaking in the joy. The journey continues and it likely to be more of the low-key living over the next 3 months, depending on treatment side effects. But I must get out in the coming cooler months to enjoy our surroundings and the coming christmas and new years holiday season. All the best – love and happiness – to everyone for Christmas and New Years. Hi Ron , hadn’t heard you were not well , so sorry to hear . I know you will have a good outcome because you are so positive . You must get out and smell the roses the weather is lovely .